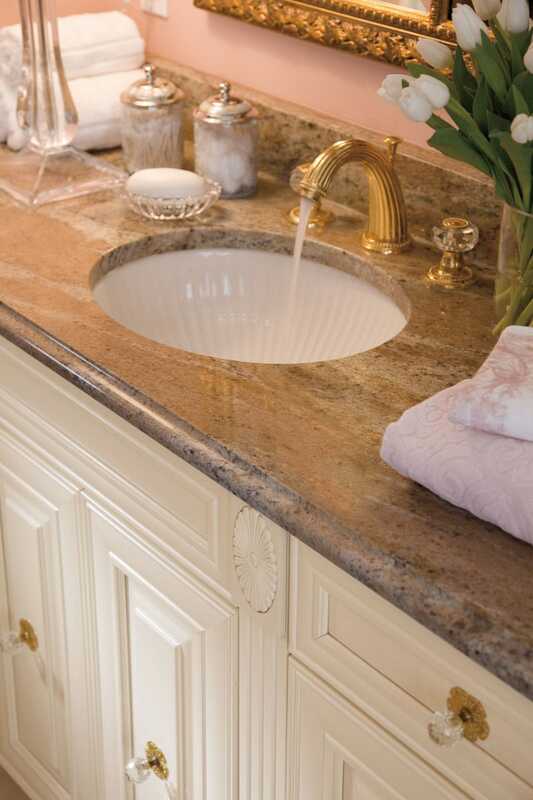 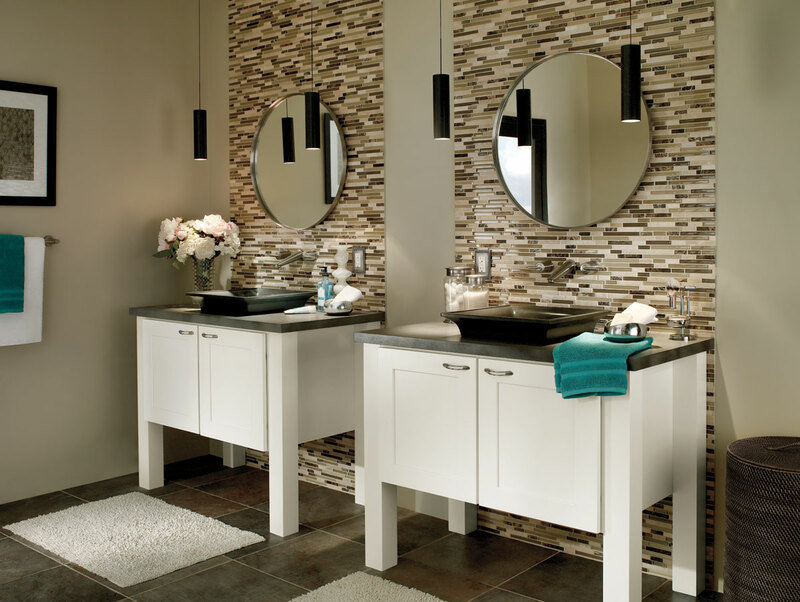 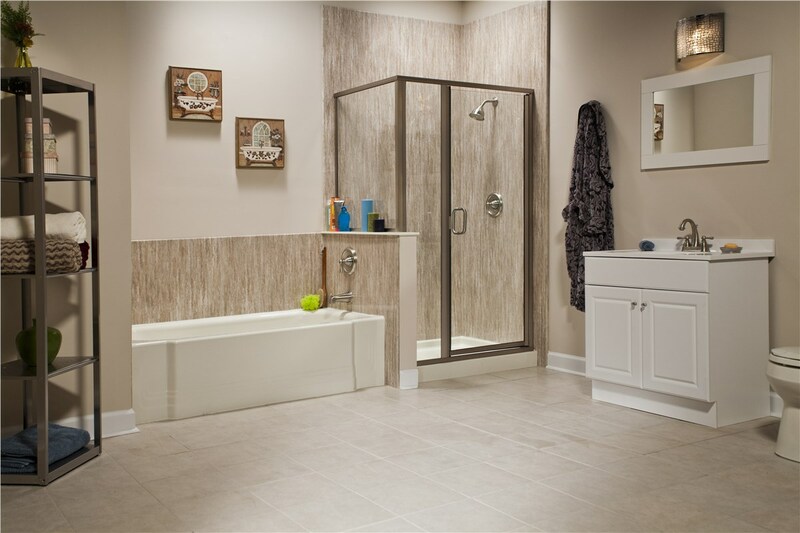 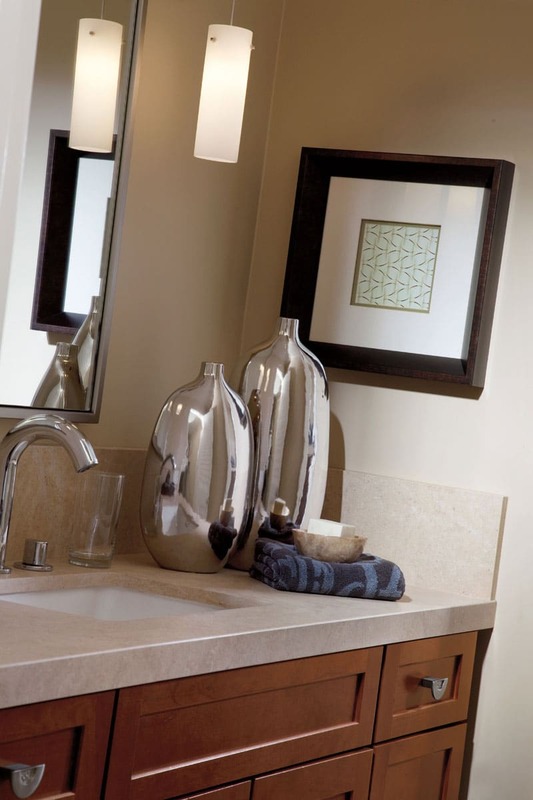 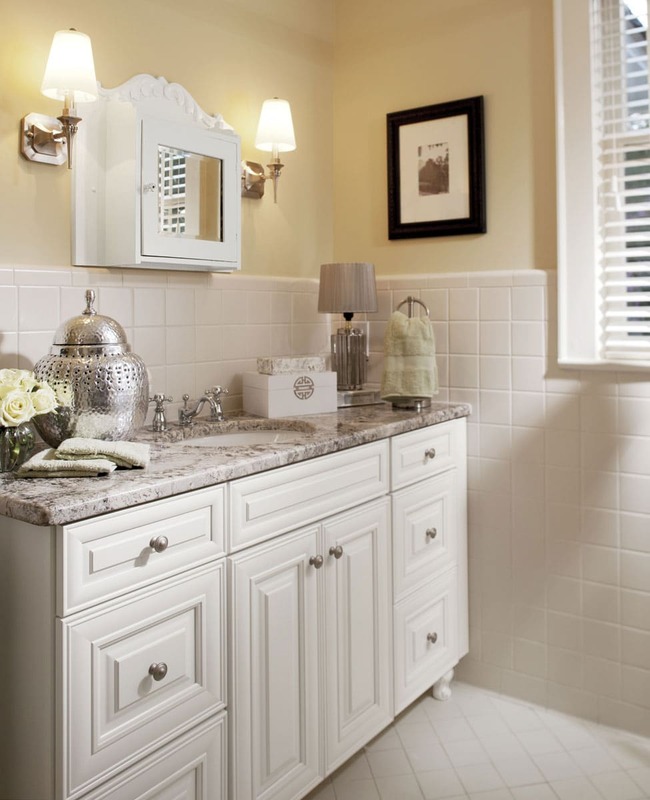 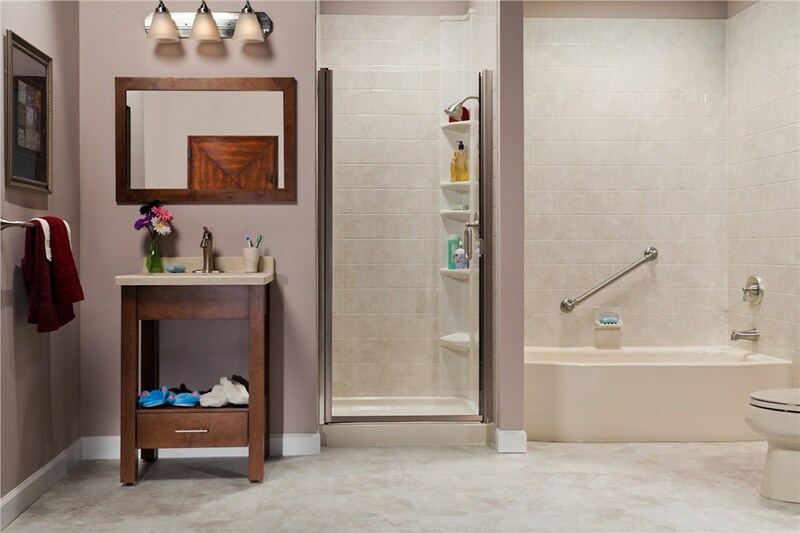 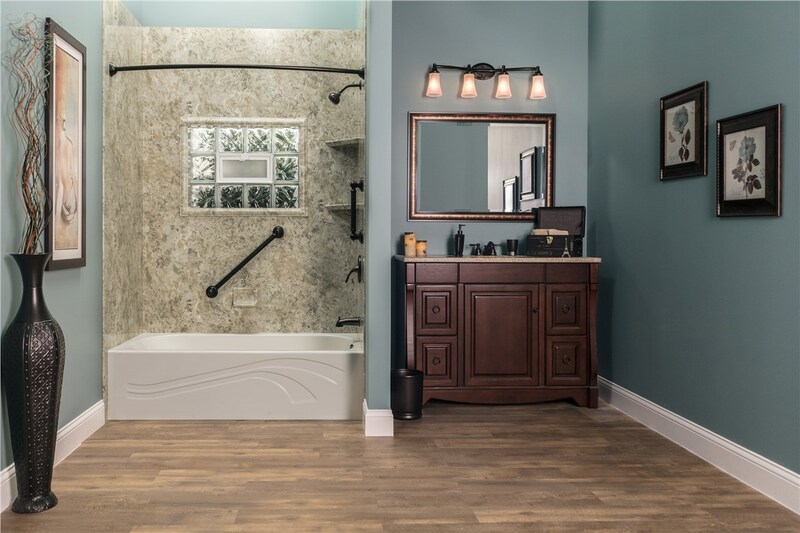 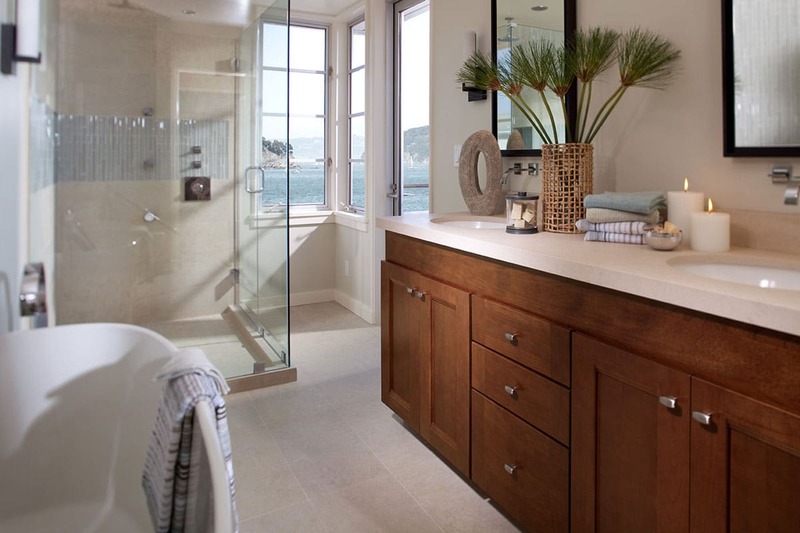 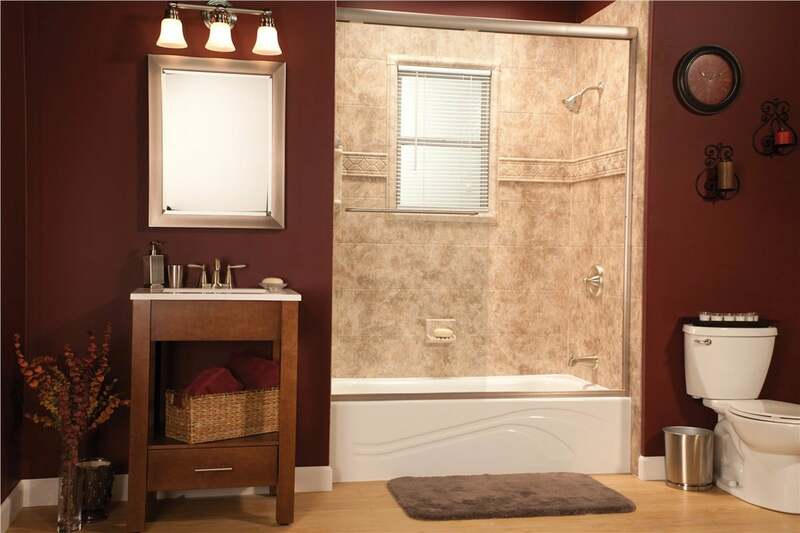 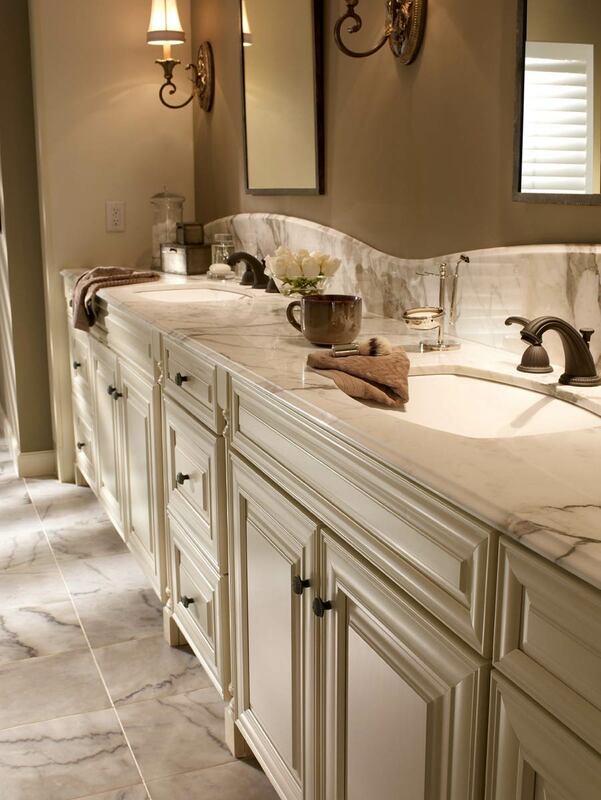 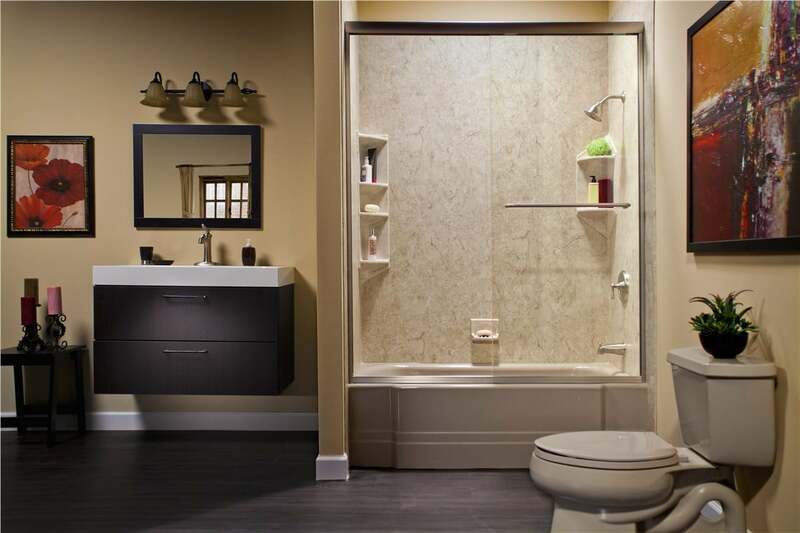 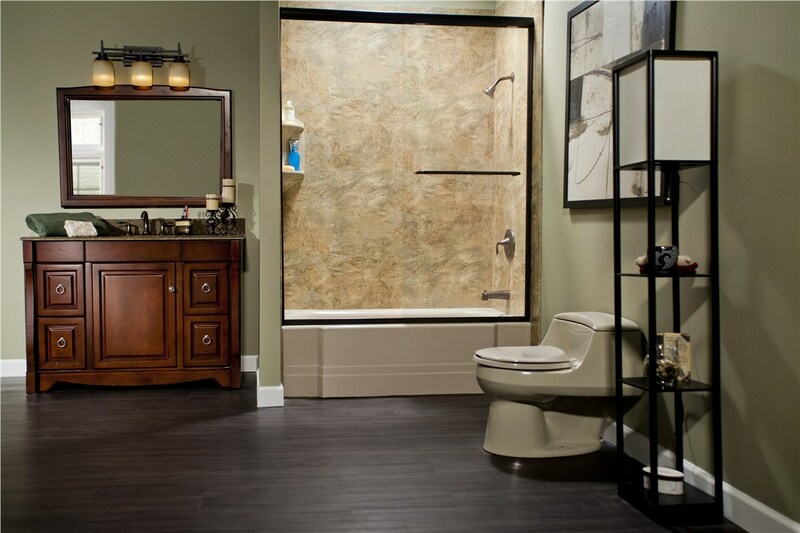 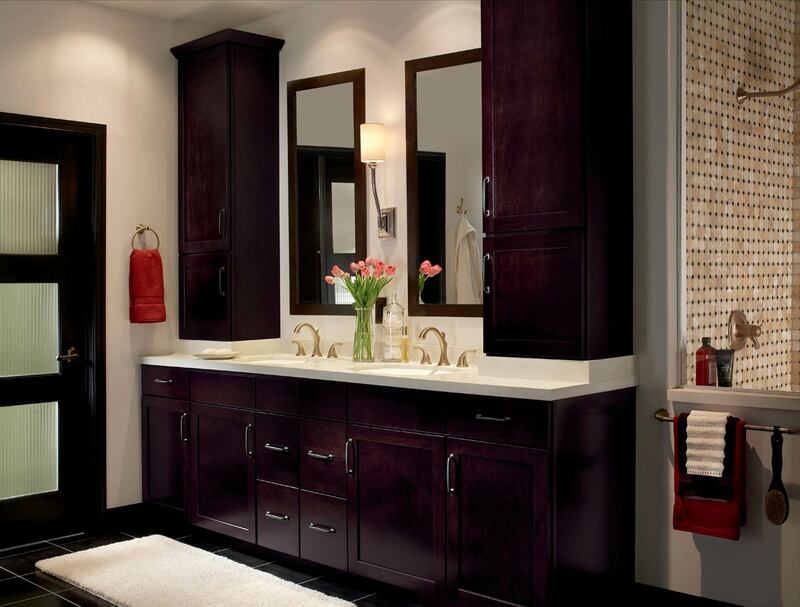 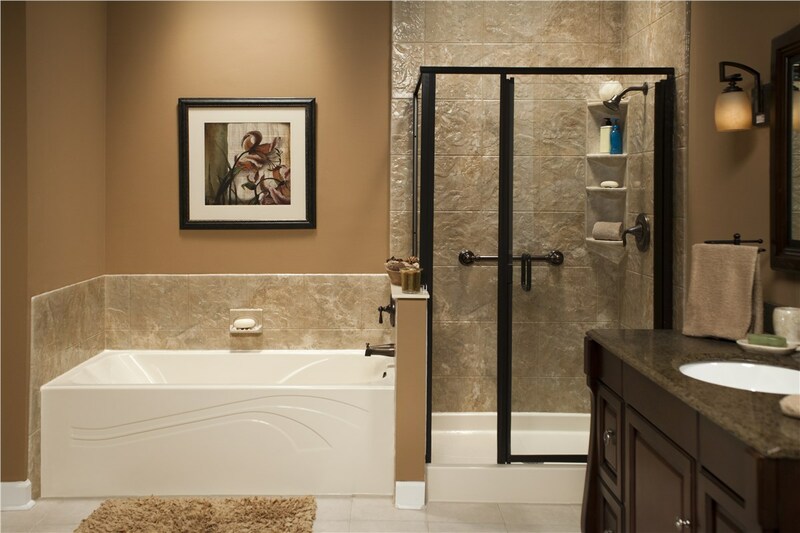 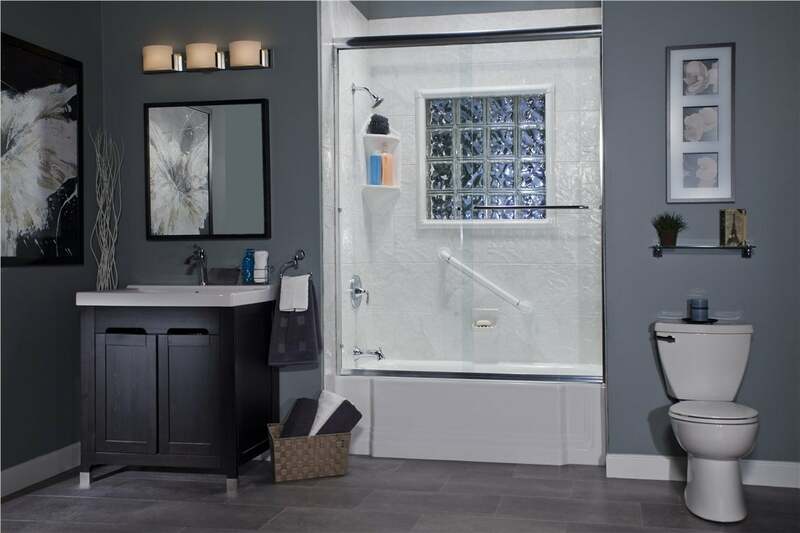 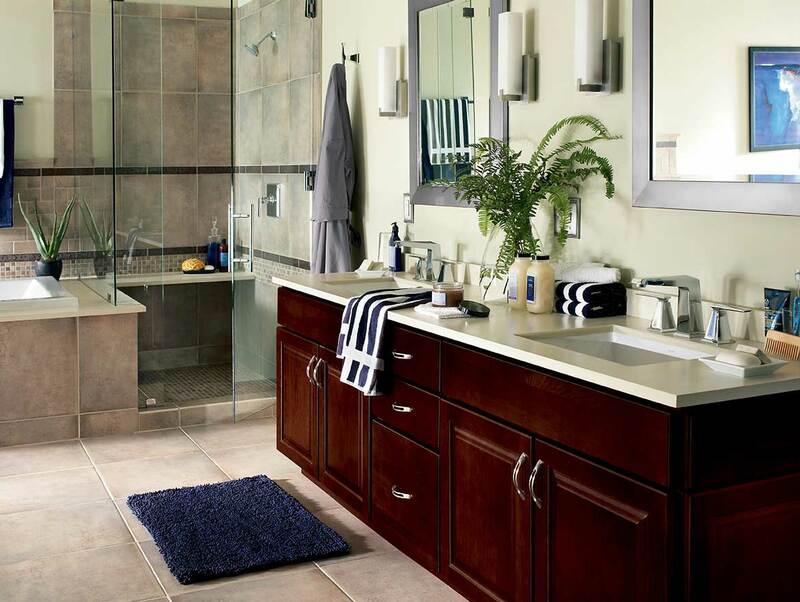 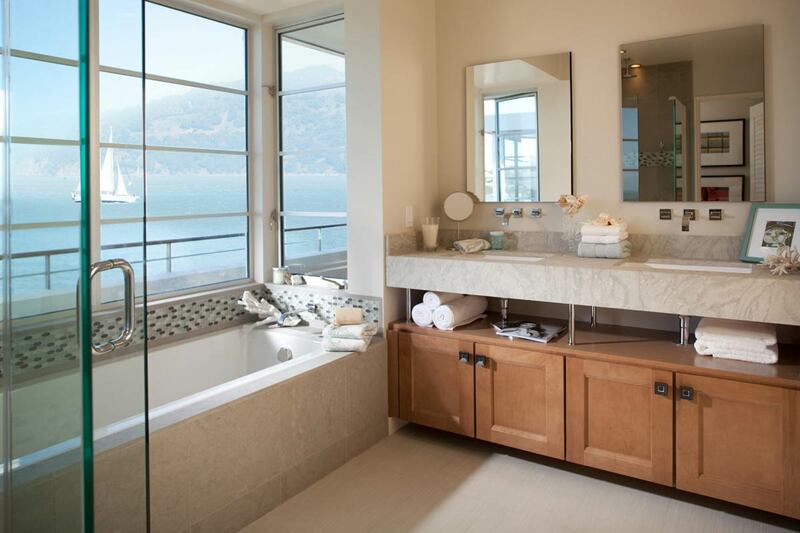 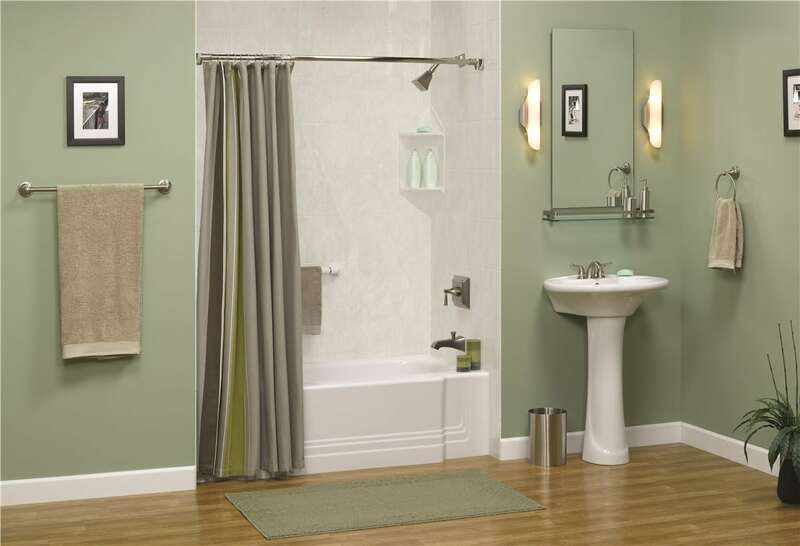 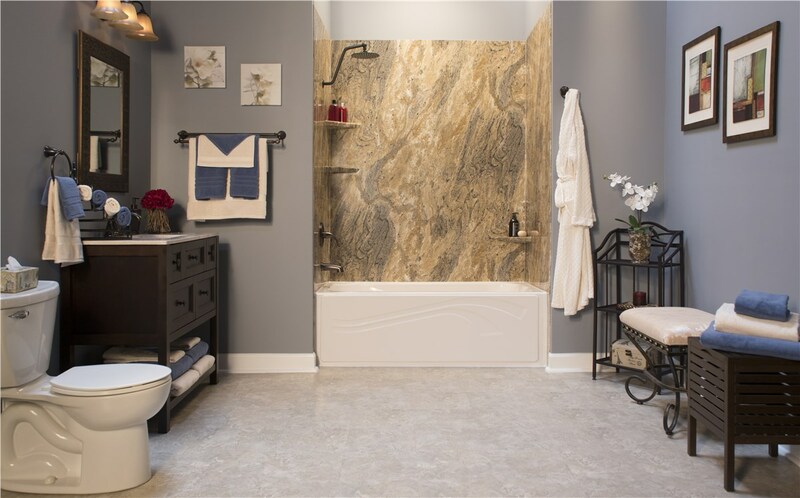 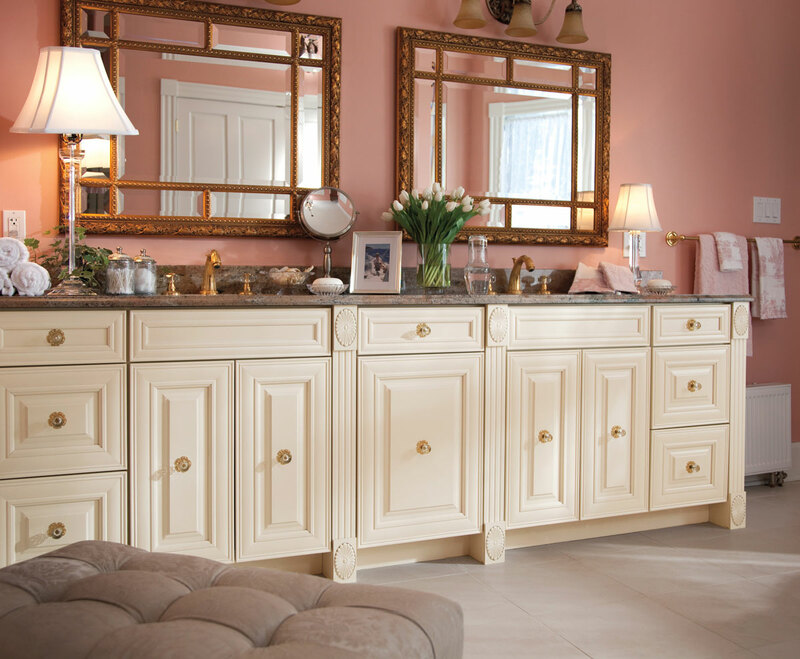 At Liberty Home Solutions, we are serious about bathroom vanities and bathroom cabinets. 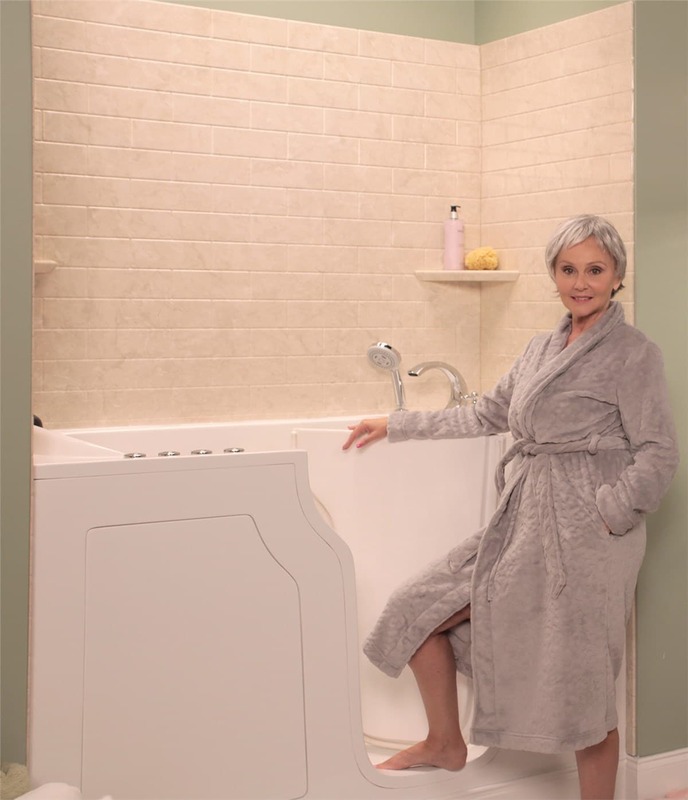 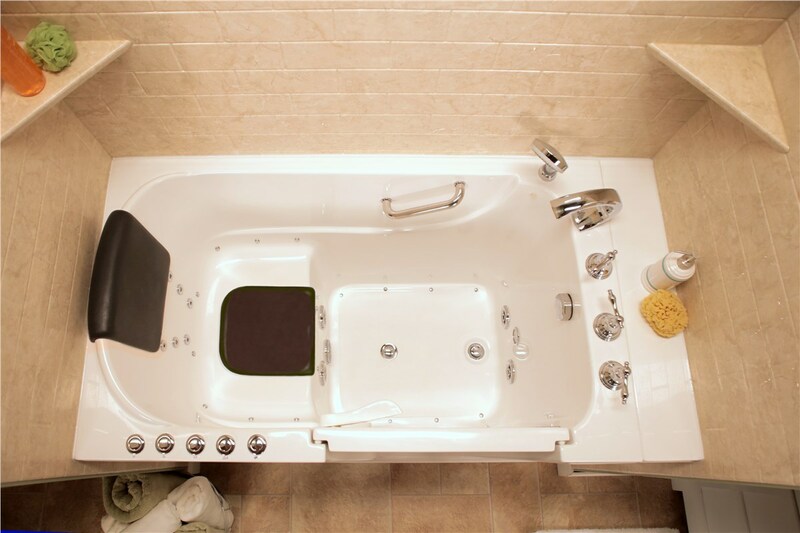 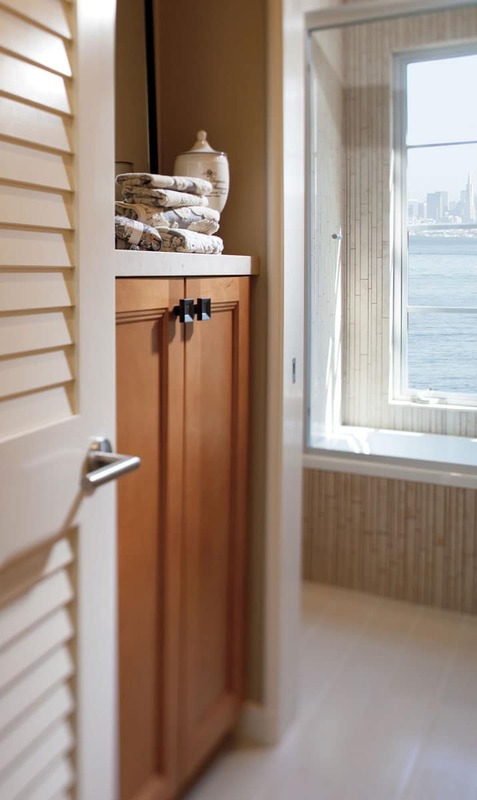 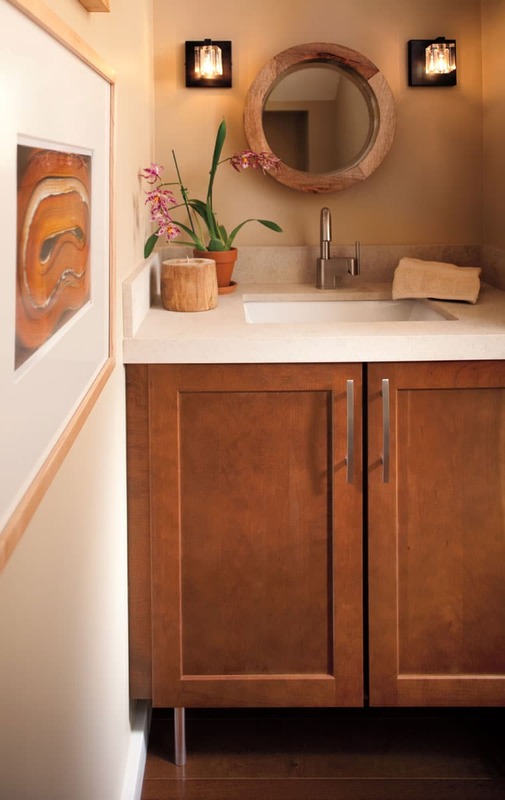 When we first started remodeling bathrooms, we noticed that many homeowners had low-quality plywood bathroom vanities that were showing significant sings of aging. 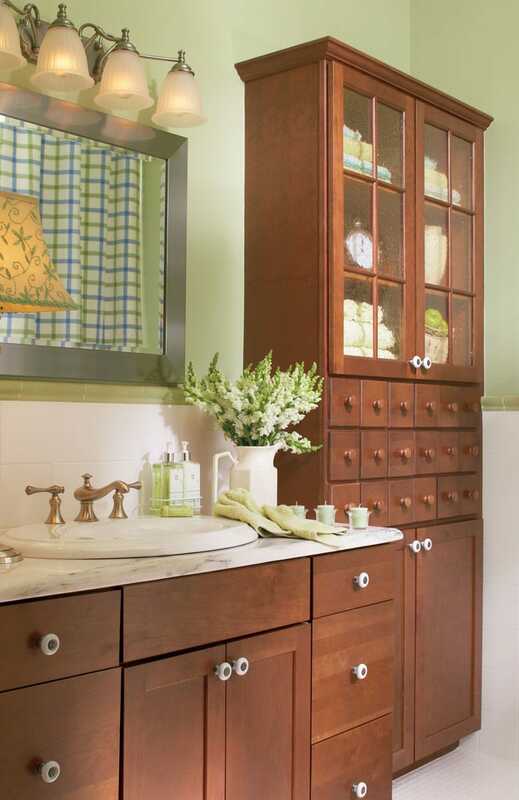 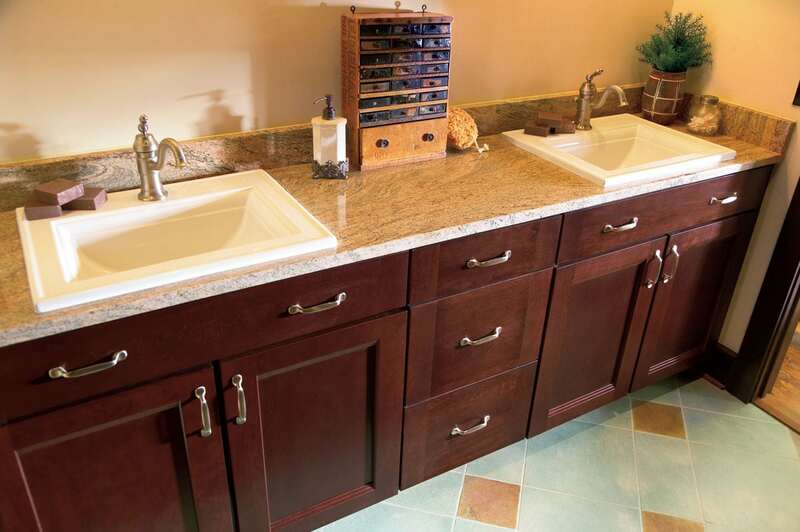 However, they were hesitant to replace their old bathroom vanity and cabinets because of the costs. 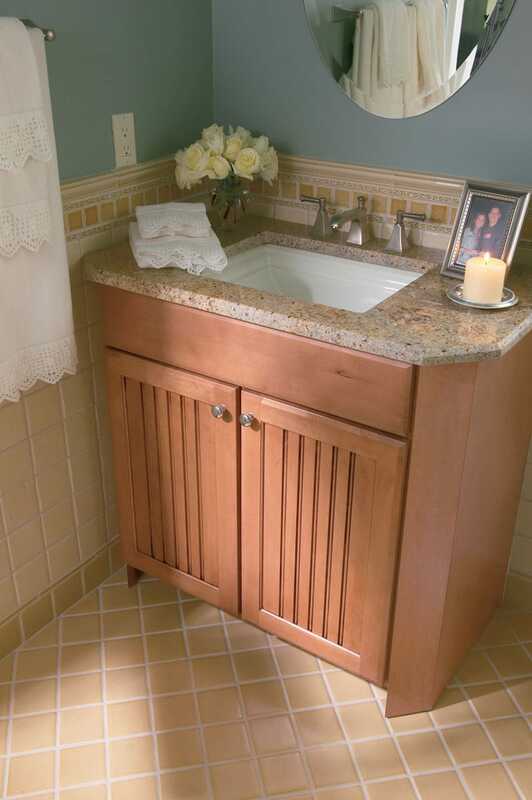 So we found a custom bathroom vanity and cabinet maker, who only uses high-quality wood; Oak, Maple, Hickory, and Cherry. 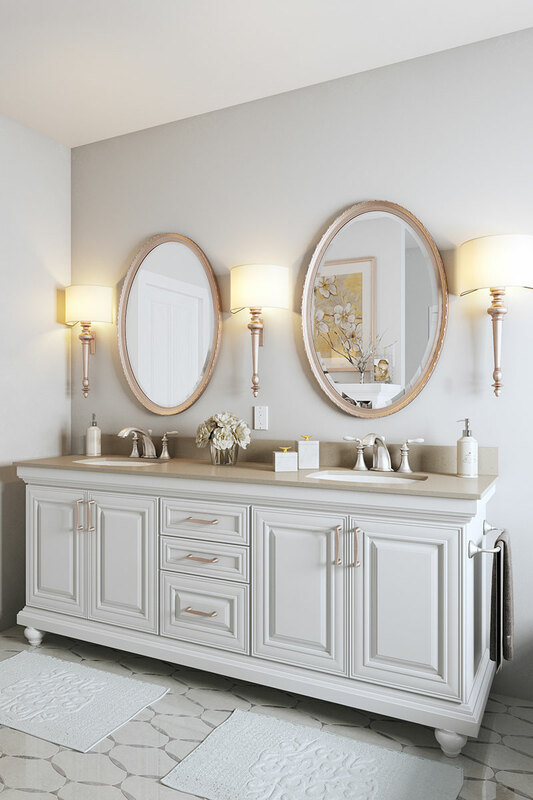 Not only are we able to offer you a much higher-quality real-wood bathroom vanity, but we can offer you hundreds of different finish options, installed with our lifetime warranty, all of a price that is much lower than high-end custom cabinet makers here in our area. 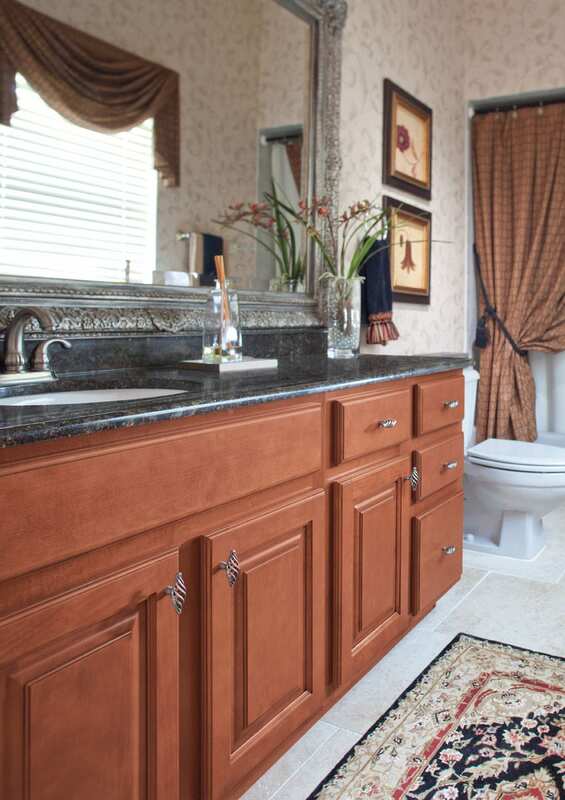 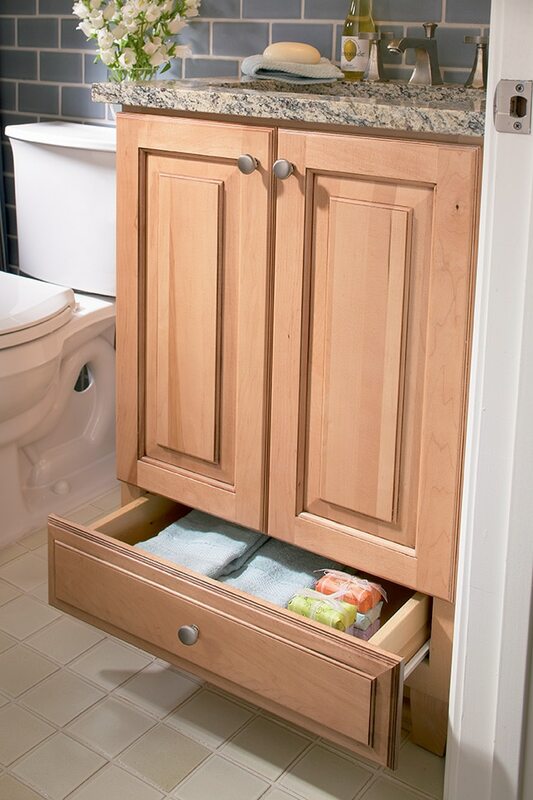 Our custom bathroom cabinets offer design and finish details one might expect in fine furniture, but not in your bathroom. 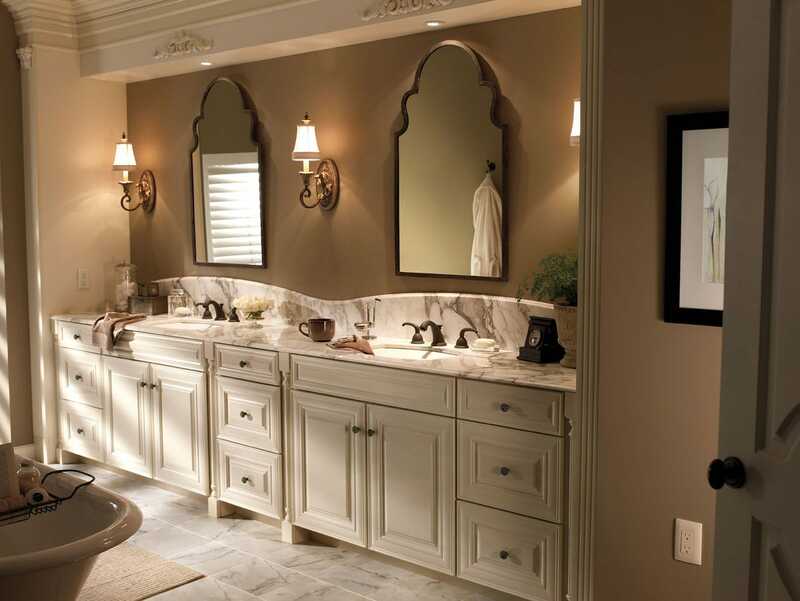 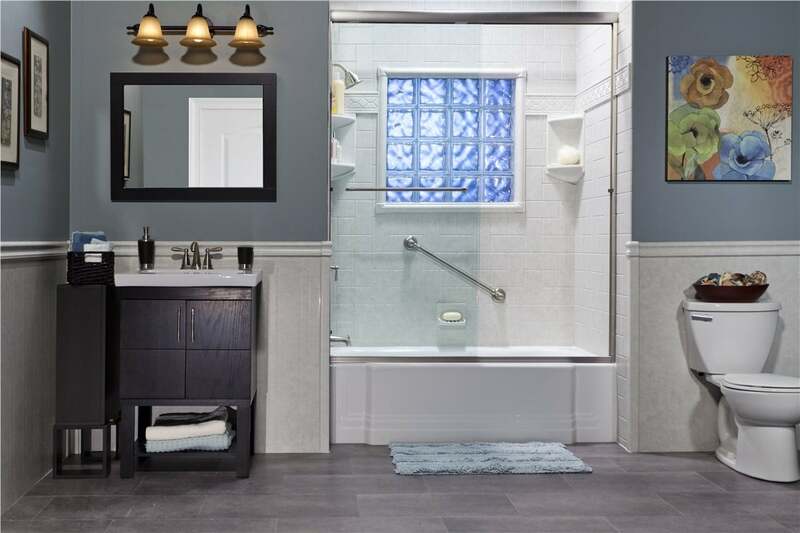 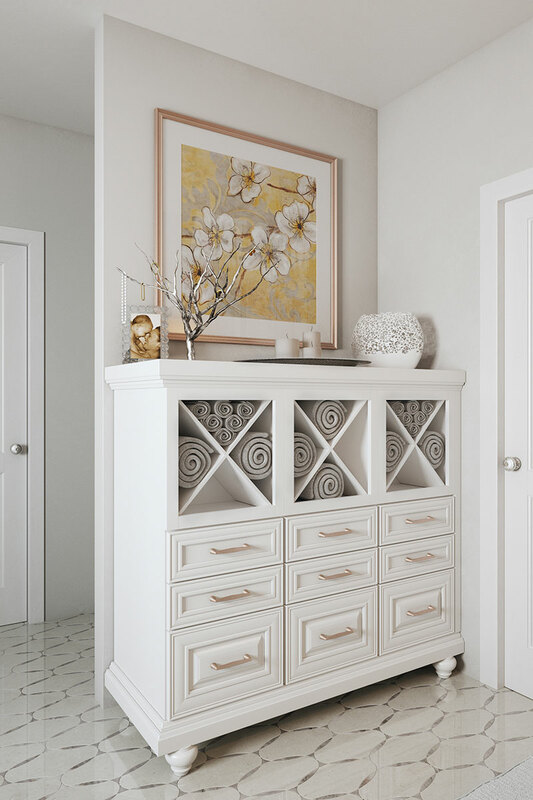 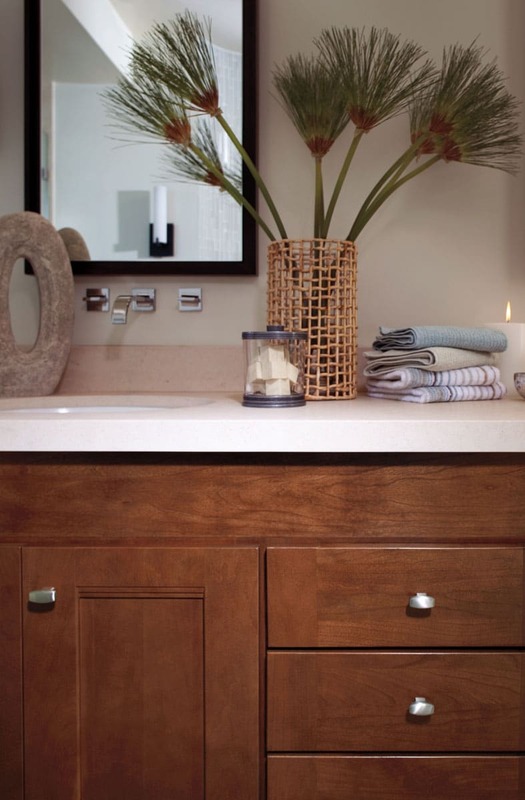 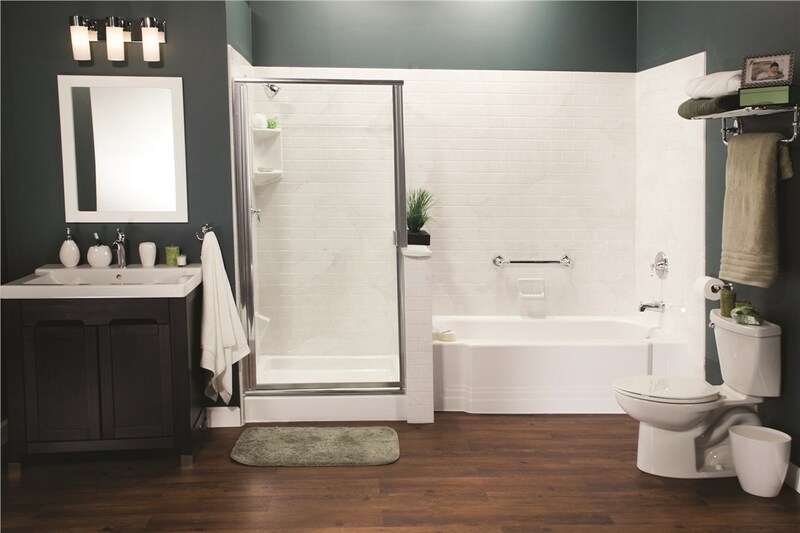 From carved panels and molding, on 100% wood based cabinets available in a variety of different finishes we offer you the ability to create a high-end bathroom remodel on a budget.